http://www.amazon.com/registry/wishlist/30OMQMPLNVWDQ I'm speaking on behalf of my mama who has not joined the internet world as of yet and i am 99 percent sure she never will. 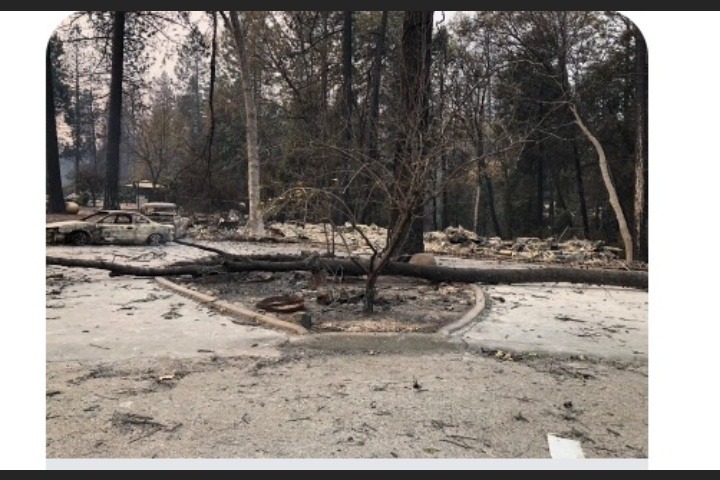 On November 9th on the one year anniversary of my dearest Grammy's passing, my mama's house in Magalia was burned to the ground in the Camp Fire. 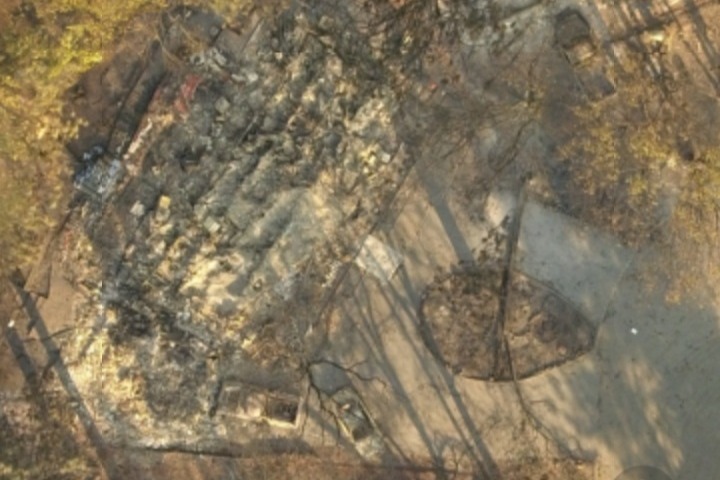 My family lost everything they ever owned and cared about and more. They escaped with their lives, a backpack each, one of their 3 cars and 2 of their 6 cats. Let me introduce you to the story of Barbara Marshall 58 years young. A beautiful soul, super shy, generous and loving. 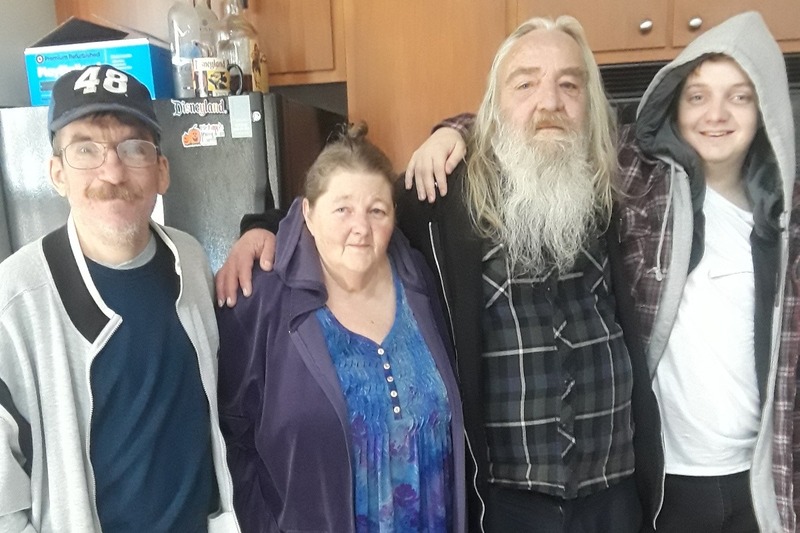 She along with her outgoing and talkative retired 61 year old husband Steve Marshall , her handsome 17 year old son Sean Marshall and their sweet as honey 51 year old disabled roomate, Brian Reed. Brian who has MS relies on them to look out for him and provide care. 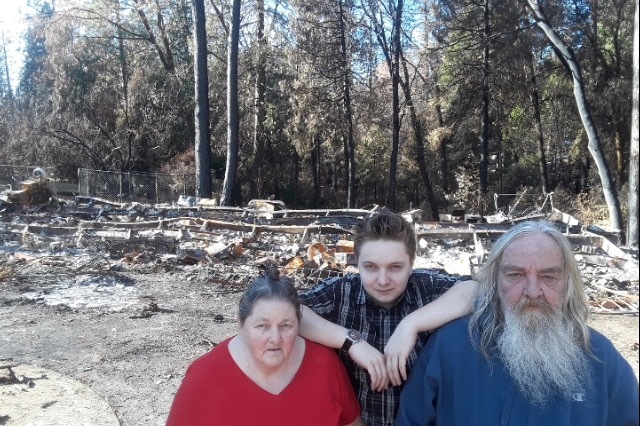 They owned their home in magalia and were unable to get fire insurance due to being in a fire zone. They were blessed to make it out alive but they lost their family home and all the memories it stored in that life changing fire. Decades of family pictures, all their clothing, books and personal items, their household appliances and basic household items, food, medicines, their multiple collections of things that meant the most to them and countless more. Precious memories that can never be replaced and family heirlooms that are lost forever. Needless to say they have been completely devastated. Reality is setting in fast, there is no more time to grieve but the motivation needed to persevere to survive and rebuild. They are sleeping on my living room floor in my 2 bedroom apt with my son and I. I understand that the process will be long to be on their own again and that's what scares me. I have a great job working at Pepsi but one income is not enough to take care of us all longterm. My sister who is married with 2 beautiful babies works as a paramedic for Butte county EMS and on top of our family sadly most of her coworkers also lost their homes. She lives in Lake County and got evacuated last year and the year before and was lucky to keep her home both times. We feel horrible that it's not enough and have exhausted so many avenues to try and secure funding for the future. We have reached out to friend and relatives, coworkers and even strangers for any all help. We have made so many phone calls and are using every resource we have found and been offered with out very much success. FEMA denied their claim yesterday for not having proof of ownership even though they didn't ask for it online and my mama and her husband were standing there with the deed to the house in hand. They will now be forced to appeal which is a 90 day process minimum. They cannot get help with housing, or hotel vouchers because they are were not staying in the shelter. I could not possibly let my disabled mama stay in a shelter as long as I have a home, she does too even if we are all cramped in here like sardines in a can. We are safe and warm, clothed and fed. It shouldn't be a punishment to have family to go to in your darkest hours. My step dad was an Air Force veteran but he makes to much to quality for assistance because of his caregivers salary which is minimal to say the least. 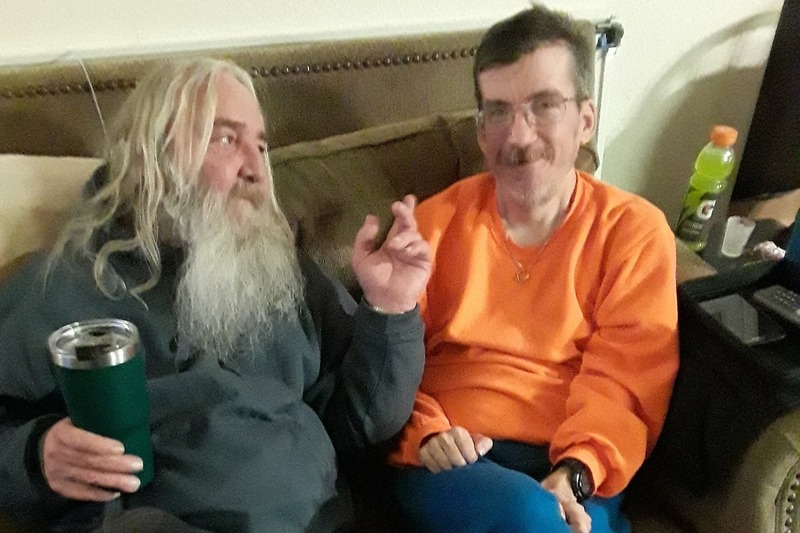 There is no way that they can afford an apartment or a house on their own and maintain it with two of the adults being disabled and one being retired with health issues. My little brother Seanny is high functioning on the autistic spectrum. It's hard for him to process this but he is doing his best. As we all are. My stepdad Steve bought their house believing they would never have to pay rent again and could retire peacefully in beautiful magalia. That generations of our family would live there and gather on the holidays. That the Marshall family had staked their claim of their little peace of heaven in this busy world. We are the type of family that has always worked hard and have never accepted handouts, if we couldn't afford it, we did without. They were surviving on a limited disability income and are used to making a dollar stretch but not even my mama can make $100 stretch a lifetime. We have been blessed to have clothing and non perishable food and basic hygiene needs taken care of by multiple Angel's sent from all around the state. Sadly this isn't enough to take care of them forever. We have accepted there will be no Thanksgiving dinner, no xmas presents and no birthdays. Its really hard to celebrate when you have just lost everything. We just need to eat, sleep and keep a roof over our heads. 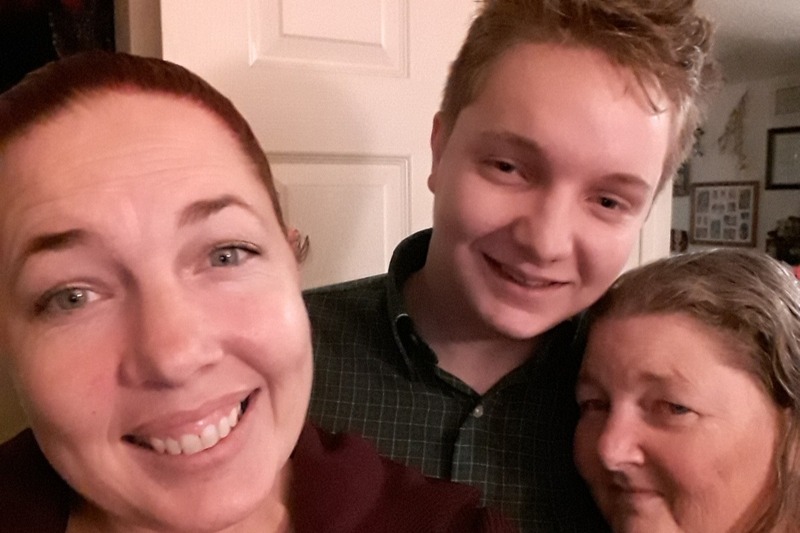 The short term goal and main focus right now is getting a bigger apartment to get them off the floor and onto their own rooms with me and my son. My son who has blessed me with a grandson on the way due in early March is prepared to move out to give them his room bless his heart. The long term goal is rebuild on the land they own and go back to living as close to normal as they can. Without cash we cannot rebuild or even rent a bigger place. Without grocery cards we can't buy milk, eggs, bread and other perishable items. Without gas cards my mama cannot keep trying to drive to chico where all the resources are. Without medicine she can not heal amd is constantly in pain. She is overwhelmed by the amount of support they have already received. But also frustrated to not be able to take care of her family the way she always has. We understand that this is our responsibility to provide and endure. But we need your help, I'm not too proud to beg when it comes to my family and we don't need a million dollars and mansion and new cars but just a place to call home. Please If anyone can spare a couple dollars here and there we can start the process of rebuilding. One dollar and one day at a time. We will get there...one day. I just hope its soon. It's simply breathtaking how the community has come together and how generous everyone has been to help so many. We might not be able to ever repay you in full but we will always keep you in our prayers. But know that if we ever are in the position to pay it forward we will. Thank you on behalf or myself and my beautiful family. With any questions or concerns you many have. We are an open book and have nothing to hide. It is unfortunate how many scams are surfacing and we know some of you may have questions before you offer any assistance. No hard feelings at all, we would do the same in this day and age. Thank you and we look forward to hearing from you have a blessed day. 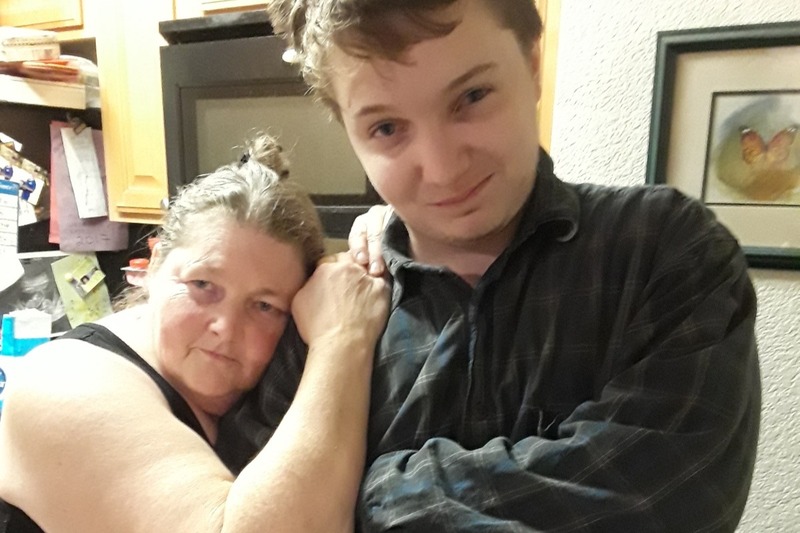 *This campaign is for my mama Barbara Marshall who lost her beautiful magalia home in the Camp Fire. *All money raised will 100% go to a first, last and security deposit on a new home for my mama and her family. *Im running the campaign because my mama does not use the internet...AT ALL. * The goal is before Christmas. *If needed for your comfort my mama can and will meet you or show proof. *Thank you so much for the love and support we are humbled and generous amount of donations. *We will keep you updated on every step of the way. weird disclaimer on the end. He received a check for $1,000 dollars from the very generous donation that was given to all paradise high students!!! He was excited. He's never had that much money before. He is high functioning on the autistic scale so he doesnt show a lot of empathy or get excited. So he hasn't really cared that his house burned down because my mama got his Hawaiian shirts and clothes. He knows he can't go back to paradise high but he misses his friends more then the school like any other senior this year it's going to be tough to enter a school halfway through the year in a new city. But he has all of our support! He decided to use the money he received on a new phone and computer to get him through high school. But he doesnt want to just buy it. He wants to build it. He had a couple hundred scrap computers he bought at an auction and he lost them all in the fire that he was teaching himself how to put together. He is 17 and I'm 38 so he didnt grow up with me and my sister but he grew up with my son that turns 20 on Friday.